Mainstreaming extremist groups looks good on paper; however, it also comes at a cost. The Financial Action Task Force (FATF) plenary meeting in Paris has reportedly decided to keep Pakistan on its grey list; a decision that has surprised many in Pakistan. Pakistan has been kept on the so-called grey list which includes countries accused of financing or aiding terrorism. The FATF was established in 1989 – with its headquarters in Paris – and its main objectives include combating financing of terrorism, money laundering and other elements pertaining to the integrity of the international financial system. Even though Pakistan has surely not done enough to get off the grey list, the FATF failed to bring into consideration the fact that the country is currently governed by an interim setup. The interim setup’s mandate and priority number one is holding July polls on time. Hence, focusing on matters of international concern are way down its priority list. 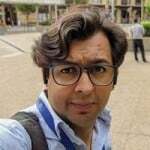 By not factoring in this transitional period, the FATF might have somewhat validated concerns or allegations (by Pakistan) that its decisions might be influenced by Pakistan’s rivals. Cannot believe it! FATF decides to keep us on Grey List and we give clean chit to ASWJ and it's ldrship! What are our priorities? The silence of the Caretaker FM is deafening on so many critical issues! However, this should not be a valid excuse for Pakistan. Even if the FATF is, in some way, allegedly influenced by the US and India, it was Pakistan’s inaction against terror financing that gave the watchdog enough reasons to keep it on the list. Since February’s listing, Pakistan had more than three months to take concrete measures to thwart global perceptions that the country was responsible for financing terror outfits, mainly the Jamaat-ud-Dawa (JuD) and Lashkar-e-Taiba (LeT). However, with Hafiz Saeed’s aides and associates contesting the upcoming polls, Pakistan’s case is becoming weaker by the day. Moreover, the unfreezing of assets of Ahle Sunnat Wal Jamaat (ASWJ)’s Ahmed Ludhianvi also puts a major question mark on Pakistan’s efforts and weakens its FATF case. 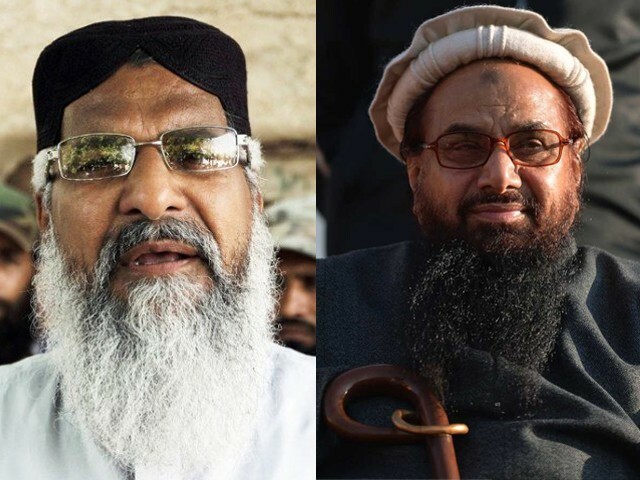 After unleashing Khadim Hussain Rizvi, mainstreaming Hafiz Saeed and the LeT & decriminalizing ASWJ, did anyone expect anything but confirmation of FATF grey listing? This isn’t “India’s narrative”. It’s the real world. Ignorance & naïveté is no excuse. Ironically, Ludhianvi’s decision coincides with Pakistan committing to a comprehensive 26-point action plan at the FATF, spanning 15 months, to avoid being put on the black list. The action plan requires Pakistan to choke terror financing of groups such as the Islamic State (IS), al Qaeda, the Haqqani Network, JuD, LeT and Jaish-e-Mohammad (JeM). It is also unfair, in the current situation, to blame the outgoing Pakistan Muslim League-Nawaz (PML-N) government alone for this fiasco. Everyone involved in the policy-making process, including the military and bureaucracy, should also be equally held responsible for Pakistan’s global shame. Where the Inter-Services Public Relations (ISPR)’s spokesperson alluded to proposals for mainstreaming extremist groups, the diplomats, on the other hand, also failed to present an effective case both globally and at the FATF. Finally, the Sharif-led government, embroiled in its own Panama/Iqama fiasco in the final years, gave little attention to this issue. On top of that, the unchecked entry, and progression, of hate-inciting Tehreek-e-Labaik Pakistan (TLP) and its leader Khadim Hussain Rizvi also showed lack of Pakistan’s seriousness in this regard. Mainstreaming extremist groups looks good on paper; however, it also comes at a cost. A cost that creates complications for the country in global politics and bilateral relations, along with it global financial transactions are kept under strict scrutiny and are taking longer than usual time. Even though Pakistan’s interim setup is currently busy in the day-to-day management for the upcoming elections, taking corrective measures to get the country off the grey list should be an equal priority. If Pakistan – in the worst case scenario – is added to the FATF blacklist in future, the incumbent government would have a major task on hand to undo the damage caused in the international arena. Where Pakistan’s forex reserves and exports are already on a constant downward spiral, getting on the blacklist would only make things worse. Moreover, in case of inadequate action, Pakistan might even find it hard to keep its friends, mainly China, on board. China has occasionally voiced concerns in this regard, and hence wants Pakistan to take concrete action. Unlike the current social media trend in Pakistan, blaming a single party or entity – whether the PML-N or the Army – for the grey-listing is not the solution. If the country aims to come clean and get its name off the grey list, only a concerted effort – with the united civil-military leadership – against extremist, militant and terror groups is the need of the day. Just because they don’t like us people doesn’t mean we have get on our knees to make them like us. Why don’t you go to dictate Pakistani Judges, what is the “right judgement”? chawwal, once a week. Meat, maybe, once a month…. left YOU holding the bag. each and every bazaar. Money is donated freely to them. Govt. looks the other way. And you wonder why FAFT put you on a list? minority. Like Love Jihad, Ghar Wapsi, Gau Raksha, Beef Vigilantism. what’s wrong? Just support blindly? Like the Hindu Rashtra? Now that!…is rich! “Because bloggers must defend their country”…according to you. a very very heavy price for it.